SSC Ultimate Aero is never mentioned in a matchup with the Radical??? Is that because there is no track time? because they are completly different machines. one is made to eat corners, and the other is to get the highest top speed. Not really, they just dont have anything in common. Yes that is your opinion, and i respect that, But an Alternative? Cmooonnn LOL M3 or Carrera S would be my pick for an alternative, but ANY Radical as 1? LOL Maybe a Nascar? or a Go-Kart? or a Caparo? LOL I respect ya thought though. I think the Radical is a fine R8 alternative. But that's my opinion. Umm, Ok? Anyhoo, you would have to be a FOOL, to take this Radical Race car over a R8!! Why are people still rambling on about 'it still being legal only in the UK'? The Radical that now holds the record was driven straight from the factory in Peterbrough with a passenger, through Europe to Germany and did its Ring run on the same tyres? There is a great video of the two two guys posted on EVO magazine of them blasting along on public roads, at petrol stations and driving onto the cross channel ferry ferry with everyone else to get to france & Germany. I see no race car, just the fastest street car around. We should do a poll on this car. I agree, but its only legal in the UK, and thats gotta count for somthing, plus it has a lap, but i do agree with everything you have too say. Please erase this race car as it is not likely anyone will ever see one as it is not a production car. How many were built 10?? yeah, i highly doubt tis is faster than a T1. 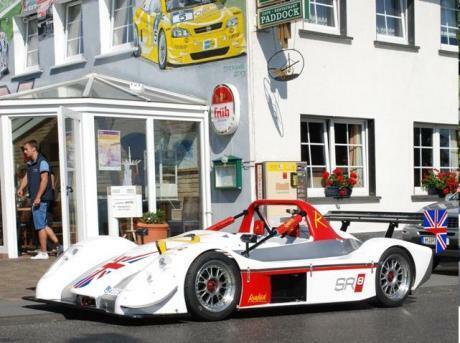 would it be faster than a caparo t1 or the almost-out ariel atom 500 around the 'ring? anoymous no one cares what you think... REAL car enthusiasts buy this car and drive it..the reason why they have sold much more of them than Ariel sold their Atom..
Oooo, 10 whole orders lol im not a fan of the ACR, but im a fan of AutoMobiles, and this is no streetcar, dont care how many they make, car enthusiasts, REAL car enthusiasts, damn sure do NOT count this, and if your gonna add this you might as well add any race car that has ever done a timed lap at the Ring. This is a production car... Radical has a 30,000square feet factory in the UK offering 6different models of which only the SR9 LMP2 can´t be registered for street use! Since 2005 this car officle holds the lap record for the fastest street legal production car around the Ring... no matter what Viper ACR fans, car manufactors, GT-R fans, ZR1 fans claim... BTW Radical recived in 2004 10orders for the SR8 befor the first car was even shown to public.. 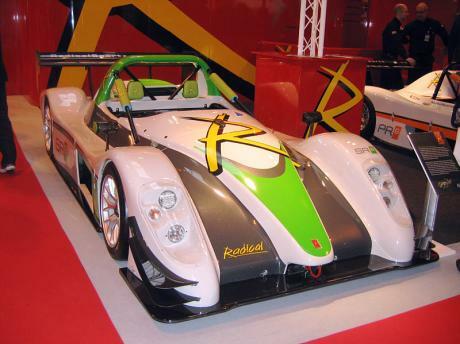 The Radical SR8 is quite simply the world’s fastest production sportscar, holding the lap record around the world’s longest and most arduous track – the Nürburgring Nordschleife. Performance is provided by the unique Powertec RP range of engines which includes superbike technology in the cylinder heads and Formula 1 technology engine internals. 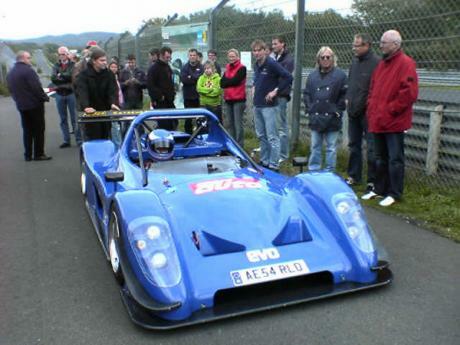 Since the Nürburgring lap record was achieved in 2005 the SR8 has undergone continual development. 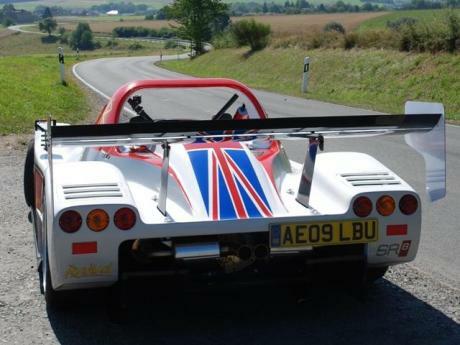 Radical have improved the aerodynamics, safety and serviceability of the SR8 while Powertec engineering have developed the engine from its original 360bhp to the current 380bhp for the 2.6 litre SR8 Supersport and 460bhp for the 2.8 litre SR8LM. 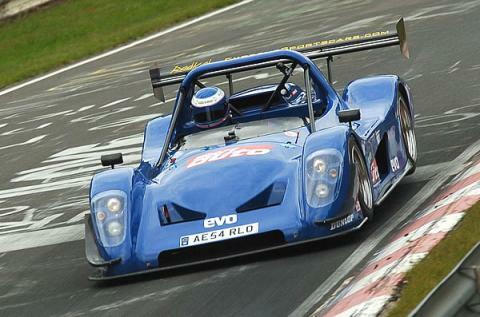 Drivers requiring the best two-seater track day car money can buy need look no further. I dont count this myself, Viper ACR is the True Ring holder, for now, but it has a lap, and it is FastestLaps.com, and is road legal just in the Uk, , but whatever, dont really like or care bout this race car. Car Enthusiasts no what the Fastest Car orund the Ring is, and thats the ACR! This is NOT a production car! the acr did set the new record, they clearly stated it was for street legal production cars and i doubt this is legal anywhere besides england! that logic would mean that porsche that did 6:11 holds the current record.